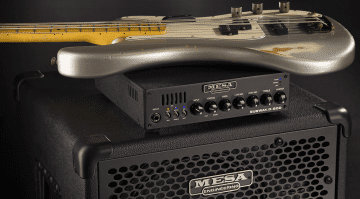 Mesa/Boogie Subway Bass DI-Preamp pedal – A mini bass monster! A brand new bass preamp, plus a new enhanced bass amp and also a new cab! 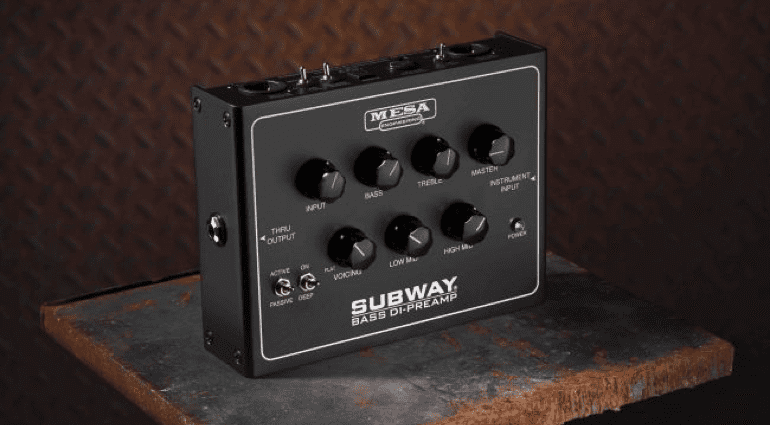 The Mesa/Boogie Subway Bass DI-Preamp pedal has just been announced. It follows on from the Class D bass amp series and packs the tones into a pedal format. The American amp maker has also updated its D-800 amp range and added a new bass cab, too! Taking its tonal characteristics from the Mesa/Boogie D-800 Series of amps heads, the Subway packs a lot of useful features into its small case. As usual, it’s built in the California, USA; expect them to be road-worthy and able to take some punishment. The Subway Bass DI-Preamp pedal is based upon their Subway Class D series of rack-format bass amps. Expect a similarly punchy tone from the pedal. Mesa/Boogie say it’s designed to handle both passive and active bass pick-ups. It comes equipped with balanced preamp output on XLR and also caters for DI output as well. A ‘Through’ output is also included, letting you route your signal to a stage tuner, for example. There is a four-band EQ section which is active and designed to allow you to sculpt your own bass tone. Also on-board is a Deep Switch and Master output control, too. You can power the Subway pedal via an external power supply or battery. I would recommend checking out the video demo below for a full overview of what the Subway Bass DI-Preamp pedal can achieve. 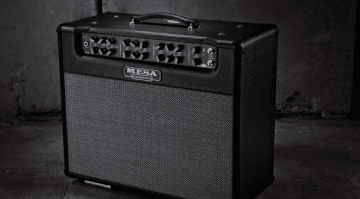 Watch out for the new Mesa/Boogie D-800+ Series of amp heads, which have also just been announced. The new updated D-800+ head has a new sweep-able semi-parametric EQ, a new Bright switch and a high-pass filter. Its maker has also added a new series effects loop, a dedicated tuner output and also a mute footswitch jack. Mesa/Boogie have also recently added a 600w Mesa/Boogie 2×10 Subway Diagonal Ultra-Lite Bass Cabinet to their line-up. This sees few nice enhancements to an already high-specification bass amp, as well as another very useful lightweight bass cab. 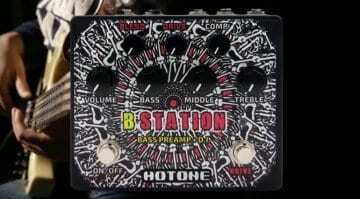 Both these new products should be shipping around mid-December this year along with the new Subway Bass DI-Preamp pedal. 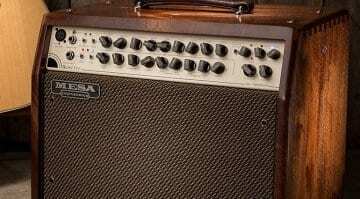 Will the MESA/Boogie Triple Crown TC-50 guitar amp become the new Recto?